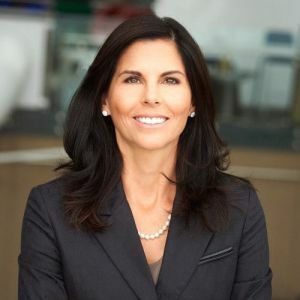 In her years at Corus, Maria has also been ‎VP, Head of Digital, Content Distribution and Pay TV, VP, Television, Head of Digital and Content Distribution, and VP, Television, Head of Programming and Production. Prior to Corus, she ran TV stations Citytv Toronto and GameTV, and was Vice President of Content at Telus, responsible for all content acquisitions for mobile, TV and broadband platforms. Maria began her broadcasting career at CHUM Television in charge of New Media where she led the award-winning team who developed and designed digital extensions for all CHUM conventional and specialty brands. Prior to joining CHUM, Maria held various executive positions in media companies Excite, TMP Worldwide and Interactive Media Group (IMG). Maria currently serves as a Board Member with the Banff World Media Festival and most recently served on the Advisory Board for the NextMedia Conference. She has served as a Director on the Board of the McLuhan International Festival of the Future and the Ontario Association of Broadcasting, as well as participated as a member on the TELUS Community Board, the Canadian Association of Broadcaster’s Digital Television Committee and as a jury member for Ontario Media Development Corporation’s Pioneering Content initiative. She holds an Economics degree from Western University and an MBA from McMaster University.